I know this might be stupid, and unrelated... but how do you open a closed topic? You can't. Also, this is not on topic of the game. Comment: I agree! Whoever decides to remake this should start a Kickstarter page. I have some excellent ideas I wouldn’t mind sharing. If we are particularly lucky with this campaign, I know for a fact that there are 150 (151 for the twins) baby dragons to be save in Spyro 3: Year of the Dragon. So we should push it if we can to fit lore. I agree with that there should be a more advanced story, as I felt Enter the Dragonfly’s was way to underwhelming. Couldn’t Ripto be more villainous? What if he was just a decoy for Gnasty Gnorc, the true villain? What if without the dragonflies the dragons lost their power? What if the story was more serious and darker, just as Year of the dragons’ was? (Remember the sorceress wanting to kill the baby dragons for their wings?) Crush and Gulp being mini bosses. As with everyone else I want more levels. I can think of a few off the top of my head, but I want everyone else to help and contribute their own ideas. Don’t forget Enchanted_Forest , though. I think there were supposed to be three of four hub worlds and could’ve been located in the castle doors portal located in this picture: http://spyro.wikia.com/wiki/File:Photo.JPG. To clarify I think entering the portal will lead you to a castle themed room leading to portals to the hub worlds or, realms, that will open one-by-one by completing each realm completely. I would also like for each song redone, but in such a manner as to fit each theme. Not a remix, not dubstep, or orchestration or whatever, just repolished maybe. If we could rehire all the original voice actors, that would be a plus. Once I again, I have great plans for this game, but thoughts are all I can contribute, and I have plenty. since the topic is closed i guess i'll be no help.. whatever.. i doubt i was anyways. A word of advice: At the top of each post you can see the date the post was created. The topic you linked to, for instance, was created way back in 2012. You'd be much better off starting a new topic about your ideas than bumping a three year old thread, even if it wasn't closed. Also, topics are closed specifically to prevent people from posting in them again. The only people who can lock or unlock them are the mods. Also, not to burst your bubble or anything, but Enter the Dragonfly has no realistic chance of ever being remade. It's almost universally hated by the video game community and pretty much singlehandedly led to the the downfall of the Spyro series. There's no way Activision would want to put it back on store shelves, remade or otherwise. Also, you can't just start a Kickstarter to remake someone else's property. 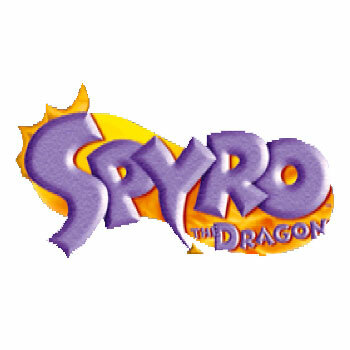 Activision owns the Spyro property. They decide what happens to that property. If someone were to try what you suggested, they'd get sued out the wazoo. i see, i understand. i'm sorry for the silly thread.